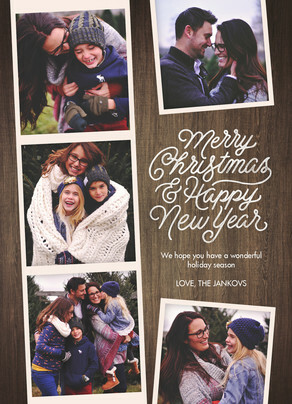 It’s holiday card time! Time for the perfect outfits, hair, and the best behavior from your kids, right? 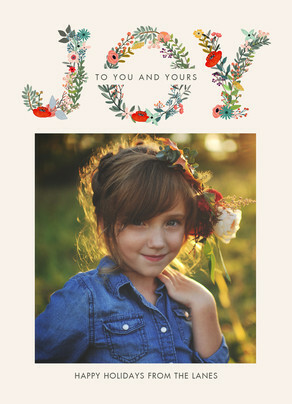 Earlier this year, I had Jess (who also happens to be an amazing photographer) come to my house for a photo shoot of my family. 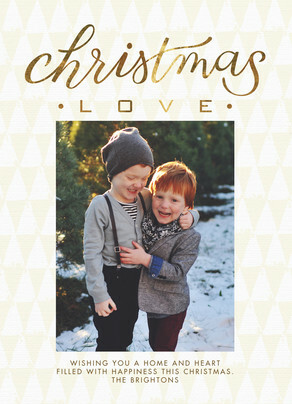 Of course, I had several perfectly themed outfit choices for my kids, perfectly placed props, and any number of staged Christmas photo card ideas ready to go. Well, that idea of perfectness quickly unraveled into what my reality at home looks like on a daily basis—my husband and I chasing the kids around, breaking up UFC-style fighting, and trying to calm down meltdowns from problems like “his arm is touching me, Mom!” All this in order to achieve the holy grail of family photos. Thank goodness she knows what she is doing because she totally caught those looks on film. And those “outtake” photos are now some of my favorites that I’ll treasure and remember forever. It’s pretty great to know that it’s not taboo to show what family life is really all about—loving the people in your life (especially) when things get crazy and not so perfect. So, go ahead. Save those outtakes. Use them on your holiday cards this year. You’ll definitely make someone smile with some real-life holiday cheer. 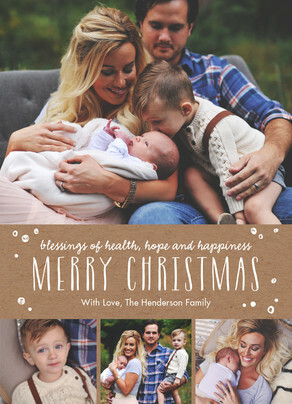 How to choose the best holiday card for your photo How to find the best holiday card for your photo Making a card? 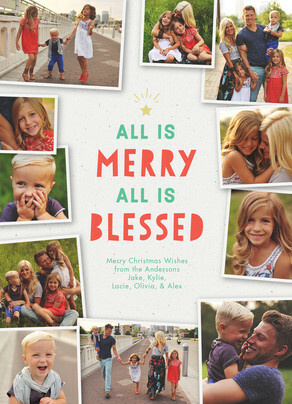 35 instantly usable Christmas card messages DIY photography tips for the holidays and beyond! Where can I find the “running low on peace” card? It’s perfect!